It's common knowledge that most cats love a bit of milk. Which is why you might be surprised to hear that the lactose found in cow's milk can be difficult for some cats to digest. Whiskas® Cat Milk is a healthier alternative developed by top nutritionists, which won't give her stomach any problems because it contains much less lactose than cow's milk. We've left in all the best stuff, like calcium, fibre and protein, as well as the great taste cats’ love, so every lap she takes will do her good. 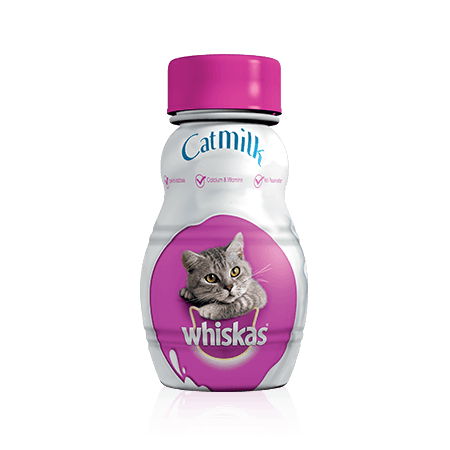 WHISKAS ® Milk for Cats 200ml is rated 2.2 out of 5 by 669. 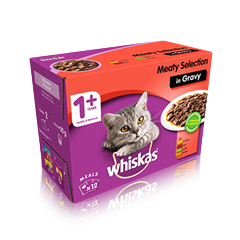 Rated 5 out of 5 by leann9697 from GREAT FEEDBACK I let my kittens have this for their mom cat's teats already dried up so i immediately run into this to have a solution to my prob. Guess what, they loved it! I highly recommend this to everyone who have cats! Rated 5 out of 5 by bengul from shall try oncly milk needing reguardy, both gender.female able by to rooms took cold ! 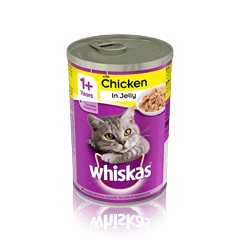 Rated 4 out of 5 by Mich97 from Licked the bowl clean My cats all loved this everytine I put it down the bowl was licked clean. Milk and Milk Derivatives, Derivatives of Vegetable Origin, Various Sugars. 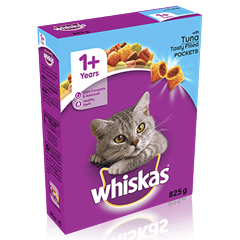 Whiskas® CatMilk is suitable for Cats and Kittens over 6 weeks of age. After opening please keep refrigerated and use within 4 days.